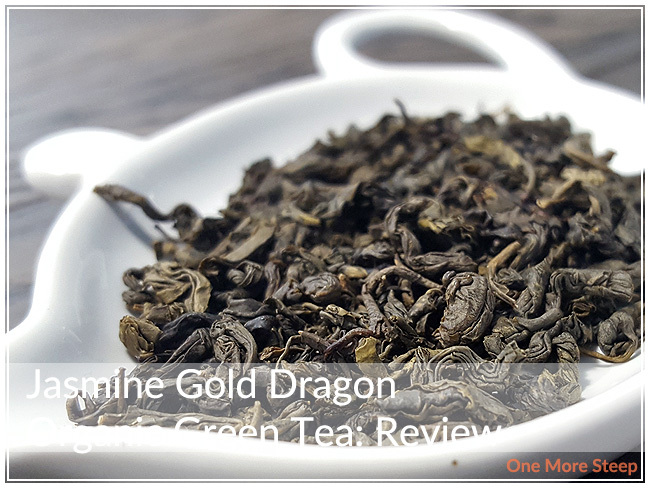 Mint and Honey has provided me with Metropolitan Tea Company’s Jasmine Gold Dragon Organic Green Tea for the purposes of providing an honest review. I received a sample packet of Metropolitan Tea Company’s Jasmine Gold Dragon Organic Green Tea, courtesy of Mint and Honey. 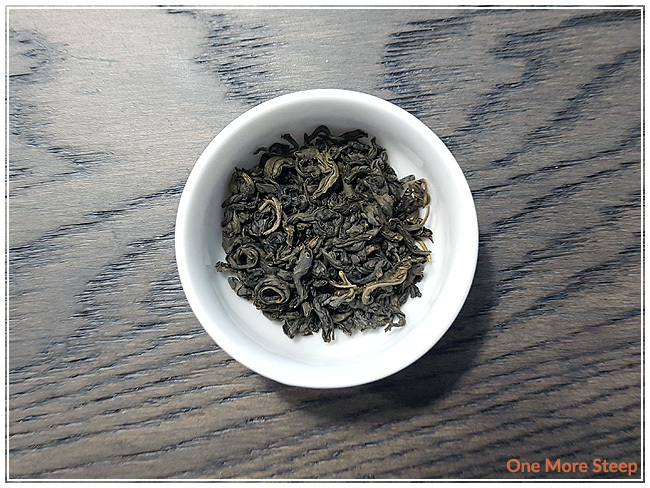 The leaves of this organic green tea are a deep green-brown colour, and you can see light twists in the leaves throughout from the drying process. The aroma is very strongly that of jasmine flowers, which is quite pleasant. Jasmine Gold Dragon Organic Green Tea is an organic green tea, scented with jasmine. I can’t really make out the aroma of the green tea base, but it is a jasmine tea so I’m not too put off by the fact that I can only smell the jasmine. I wasn’t able to find any recommended steeping instructions. I opted to do an initial steep of Jasmine Gold Dragon Organic Green Tea at 79°C (175°F) for 1 minute. If you’re ever at a loss for how hot your water should be or how long to steep a tea for, I have an article on a general guideline for how long (and hot!) to steep your teas for! 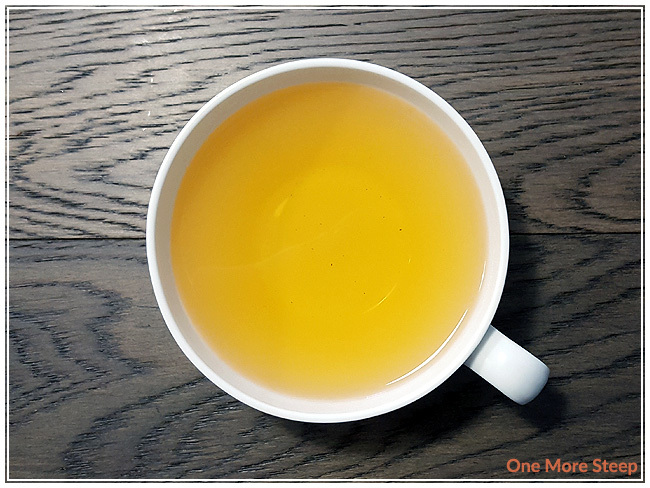 Jasmine Gold Dragon Organic Green Tea steeps to a beautiful golden yellow. This green tea has a strong jasmine/floral aroma to it that is quite inviting. On first taste, I found zero bitterness or astringency to it (a reminder, I steeped this tea for 1 minute at 79°C). There’s a mild vegetal note at the tail end of each sip that reminds me of leafy, dark green vegetables, which just a subtle bit of umami mingling throughout. I resteeped Jasmine Gold Dragon Organic Green Tea a total of four times, adding an extra 30 seconds for each subsequent steep. I found that the flavour stayed fairly consistent, only decreasing a little bit with each steep. I had also set some aside to have cold/iced and found that the flavour was quite pleasant. I found it to be less floral-sweet when iced. 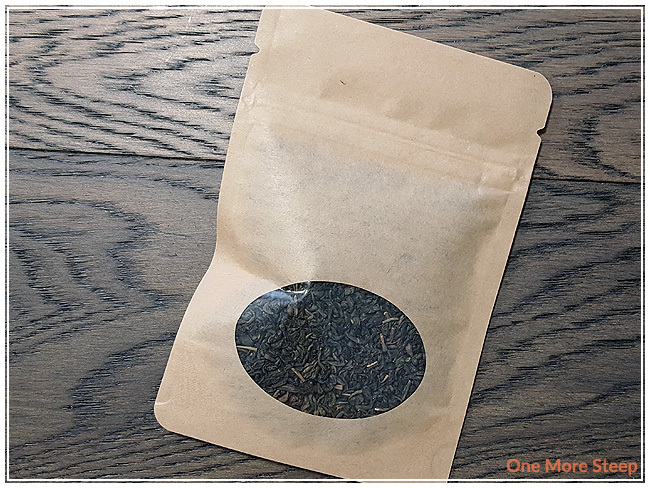 I loved Metropolitan Tea Company’s Jasmine Gold Dragon Organic Green Tea. I found the flavour to be really enjoyable, and the floral sweetness of the jasmine to meet my expectations for a jasmine green tea. 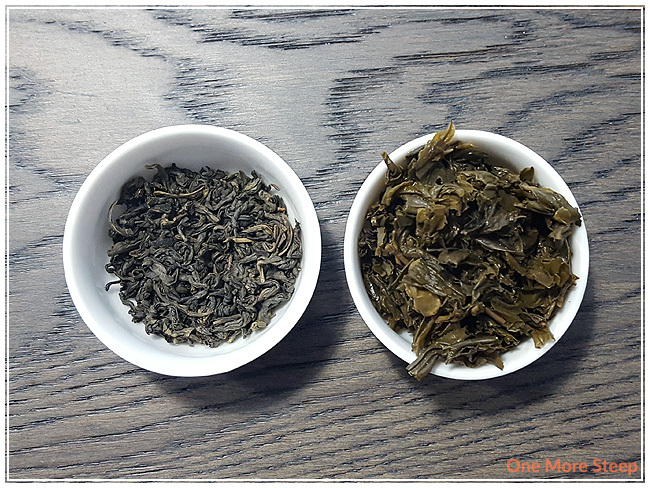 The flavour of the green tea base shines through once the leaves are steeped, and it has a nice contrast with the sweetness from the floral with its umami flavour. It’s definitely a tea that you’ll get some good steeps out of it, so be sure to resteep the leaves. Just be careful about oversteeping it, because you don’t want to end up with a bitter cup of tea!